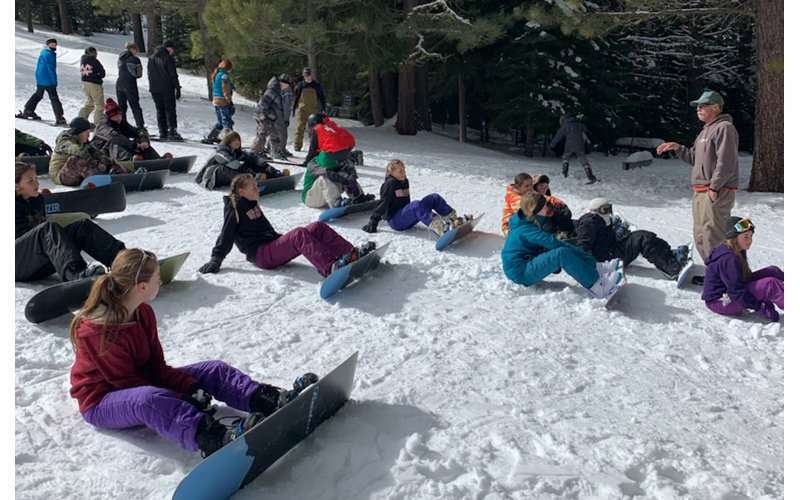 Snowy conditions and weather aligned Thursday, Feb. 21 when students in sixth, seventh and eighth-grade at Westwood Unified spent the day at Coppervale Ski Area. “The snow conditions and weather were really good, which helped them have a good time,” said Norm Wilson, manager of the ski area. Wilson said 26 students were able to participate and there were enough snowboards, skis and boots to outfit all of them. Snowboarding was the most popular sport with only eight students choosing to ski. School groups are given a package that includes lessons, gear and a lift ticket at a discounted price. The morning began with lessons. 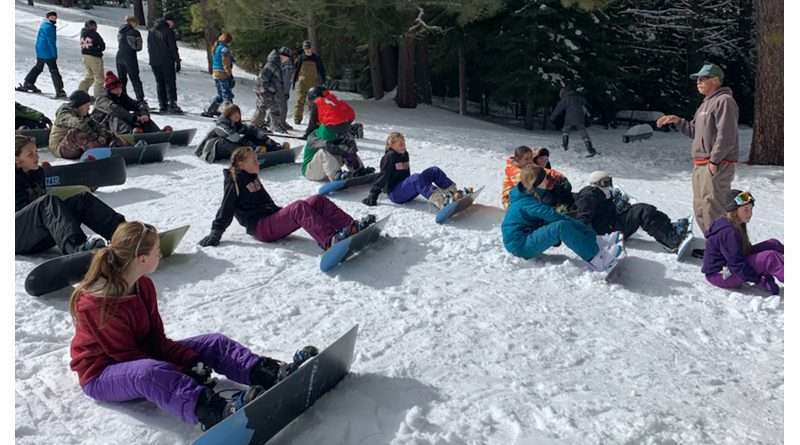 Students were divided into three lines and Wilson and two members of the Coppervale Ski Patrol each took a line of students to teach. Members of the Ski Patrol were Jay Williams and Dave Finkbeiner. After the private lessons the students had lunch before putting into practice the skills they had learned. Most spent the afternoon in the learner area using the rope tow. The ski area opens to the public at 1 p.m. on Thursday so members of the public joined the students in the afternoon. “It was one of the best groups we ever had at the hill,” said Wilson. Coppervale Ski Area is usually open from 1 to 4:30 p.m. on Tuesday and Thursday and 9:30 a.m. to 4 p.m. on weekends depending on snow conditions. Following the storm the last week in February the area was closed so crews could groom the heavy wet snow and make sure the Poma lift could work correctly. To stay up-to-date on operations, call the 24-hour snow phone at 251-8841.